GOP leaders in the House of Representatives won’t allow a full House vote on an amendment that offers protections to medical states from federal raids. Republican leaders in the U.S. House of Representatives, after sending a shockwave through the cannabis community by not allowing a full House vote on an amendment that offers protections to medical marijuana states from federal Justice Department raids and enforcement, have done an about face. We now have a reprieve – a 90-day one, anyway – under a debt and disaster relief bill first passed by the Senate. The House on Friday followed suit and passed the debt deal as well, effectively extending medical marijuana protections for three months. The change came about as the result of a deal struck between Trump and the opposing party, the Democrats. Without the protections – which have been in place for four years – Attorney General Jeff Sessions could start his long-sought crackdown on the expansion of access to cannabis, reports The Hill. 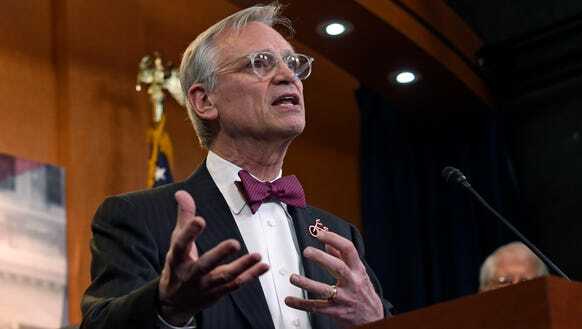 Rohrabacher’s amendment, cosponsored by Democratic Rep. Earl Blumenauer (D-Oregon), was included in the previous four Commerce-Justice-Science funding measures during the Obama Administration. It was also included in an omnibus funding bill signed by Trump earlier this year that expires at the end of September. The issues aren’t dead yet, as the Senate Appropriations Committee added both the state medical cannabis protections and the veterans ride to its versions of spending bills this year. The matters will likely be resolved by a House-Senate conference committee that later merges the two chambers’ bills together. “Opposing serious ill patients’ access to medical cannabis is sick enough, but blocking the people’s representatives from even being able to vote on the matter is just obscene,” said Tom Angell, founder and chairman of Marijuana Majority. Forty-six states now allow some form of medical marijuana and polls consistently show that more than 90 percent of voters support the issue, but a small handful of Congressional ‘leaders’ decided behind closed doors to kill this amendment without due consideration. Don Murphy, director of conservative outreach for the Marijuana Policy Project, was no happier than Angell. When an overwhelming majority of Americans oppose federal interference in state medical marijuana programs, it is unconscionable not to let the Representatives vote on whether to continue this policy. Unless Congress chooses the Senate budget version, millions of seriously ill patients and the legitimate businesses that provide them with safe access to their medicine will be at risk of prosecution.